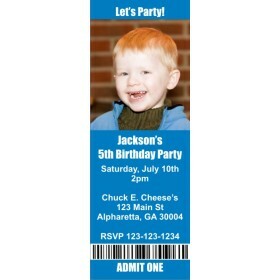 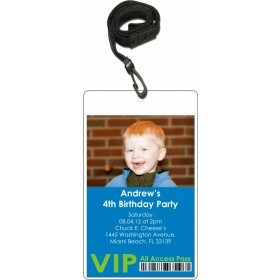 Ticket Style Photo Invitation - ALL COLORS. 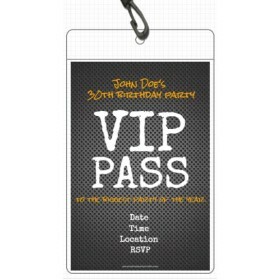 This ticket invitation will be a hit at your party. 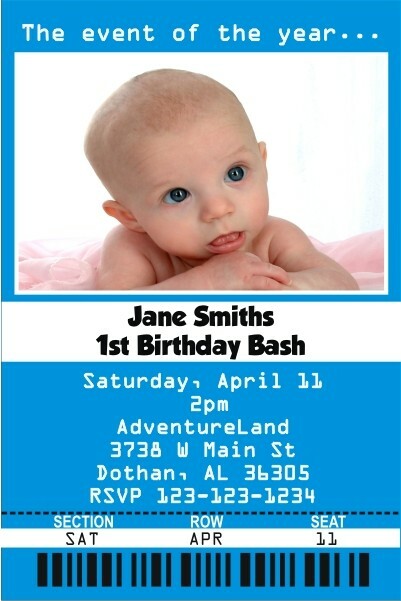 Personalize it with a photo, your wording, and a background color of your choice. 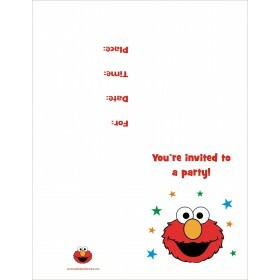 This invitation will impress your friends and family.